Viking Cruises offers destination-centric river and ocean cruising designed for experienced travellers with an interest in geography, culture and history. As the world’s leading river cruise line, the company has recently launched into ocean cruising with its second ocean cruise ship ‘Viking Sea’ christened on the River Thames this month. Courts have worked with Viking for a number of years on a variety of engaging marketing campaigns, including the ‘Made for Trade’ campaign in 2015. This new ‘Top 10’ campaign focuses on the consumer side of the business and utilises both online and offline elements including an email campaign, a microsite and a direct mail element. 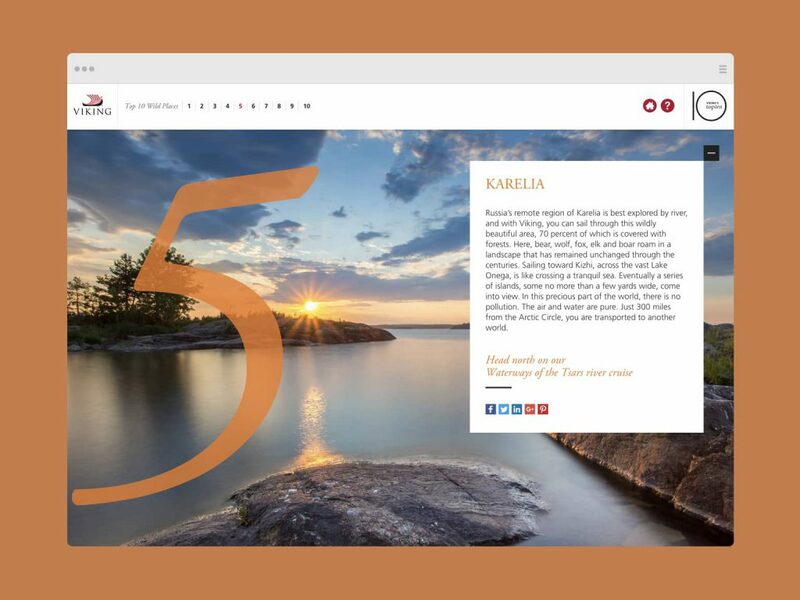 The microsite has been promoted across social media and delivers an interactive web experience for visitors, allowing them to scroll through the various unmissable destinations.